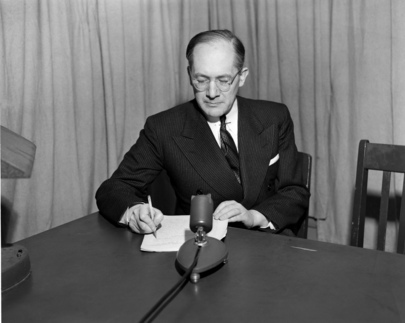 Dr. Raphael Lemkin, who coined the word "Genocide". The Convention on Genocide was drafted by the United Nations to prevent and punish the crime of genocide - the mass destruction of national, ethnical racial or religous groups as such. It will come into force 90 days after 20 countries have ratified or acceded to it.